Barbara (Bobby) Buchholz, died January 24, 2018 at Willow Valley Communities, by Lancaster, PA. She was the beloved wife of Arthur B. Buchholz, Jr. Born July 17, 1929 to the late Charles and Minerva (Van Alen) Kunz in Albany, NY. In addition to her husband, Arthur, she is survived by two sons; A. Bruce (husband of Judy) of Moorestown, NJ, and William R. (Bill) (husband of Debbie) of California; a sister, Ruth Russell of Albany, NY, six grandchildren, Capt. Brian (husband of Katharine), Kevin, Kallie, Lauren, Karen and Dan, one great grandchild, Connor, and many nieces and nephews. She was preceded in death by a sister; Shirley K. Parker (wife of Bob) of Myrtle Beach, SC. 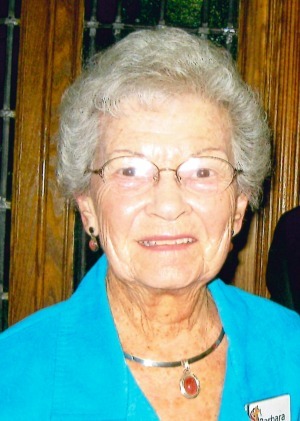 Mrs. Buchholz graduated from Cornell University class of 1951 with a Bachelor of Science Degree, and she was a member of the Kappa Omicron Nu Honor Society. She was a school lunch manager for the Hudson City School District from 1964-74, and a purchasing officer for New York State Office of General Services from 1974-89. She enjoyed her family, gardening, golfing, traveling, and singing. I am deel,y sorry for your loss of Barbara. May you find comfort in the memories you shared with her, as well as our Heavenly Fathers promise to restore those asleep in death, to perfect life on a paradise earth. This promise was recorded for us to give us a hope for the future as well as to help us through the loss of our dear loved ones. I wish the very best for your family at this time, take care.